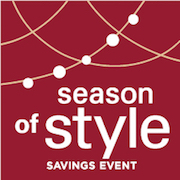 The Hunter Douglas Season of Style savings event is running from 09/22/18 until 12/10/18. You will receive $100 rebate when you purchase 1 Luminette® Privacy Sheer, plus a $100 rebate for each additional unit. Do you have large windows or sliding glass doors in your living room, bedroom or dining room? 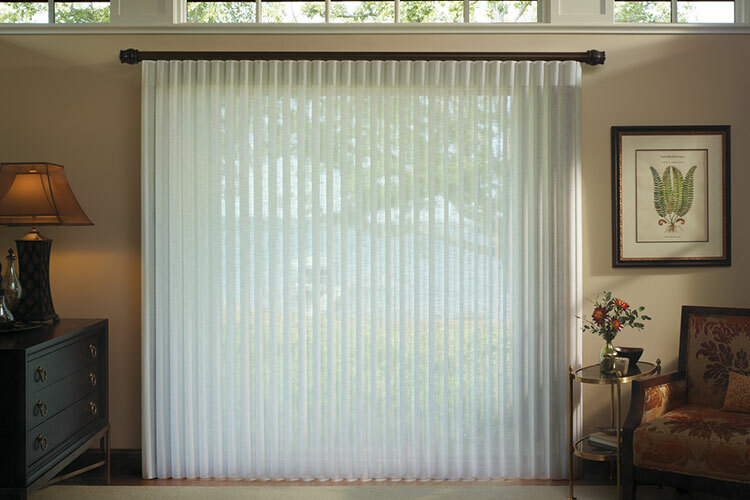 Consider covering your expansive windows with Luminette® Privacy Sheers. 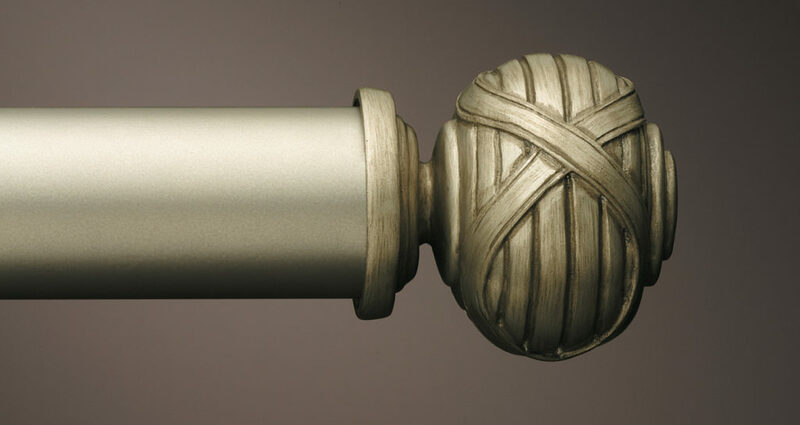 Luminette® Privacy Sheers have a drapery look with a soft appearance. You can tilt the sheers ever so slightly to control the light or have privacy. Luminette® Privacy Sheers traverse in a 180° degree motion with evolutionary movement that allow for maximum light control. 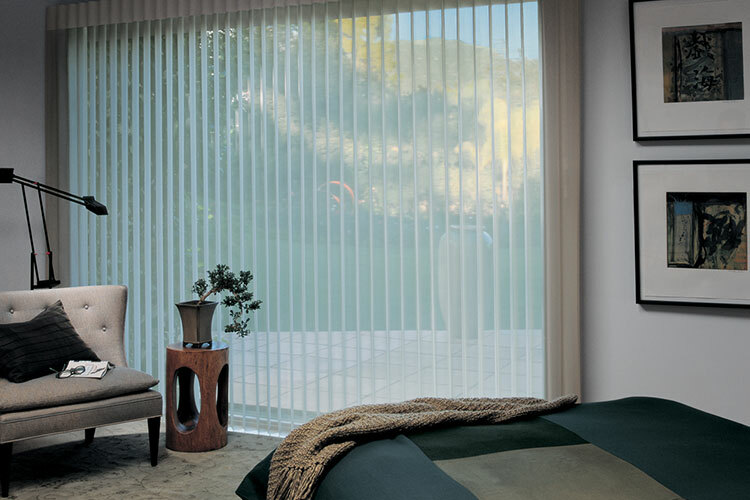 Operate your window coverings with a wand or automatically operate them with Hunter Douglas PowerView® Motorization. Operate your window coverings using the Pebble® remote control, tablet, iPhone, or Android device. 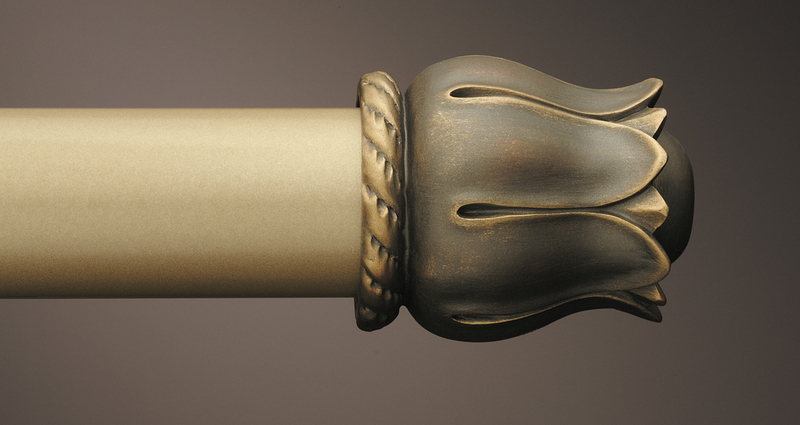 Experience the luxury of PowerView® Motorization on Luminette® Privacy Sheers. You’ll basically just have to lift a finger. 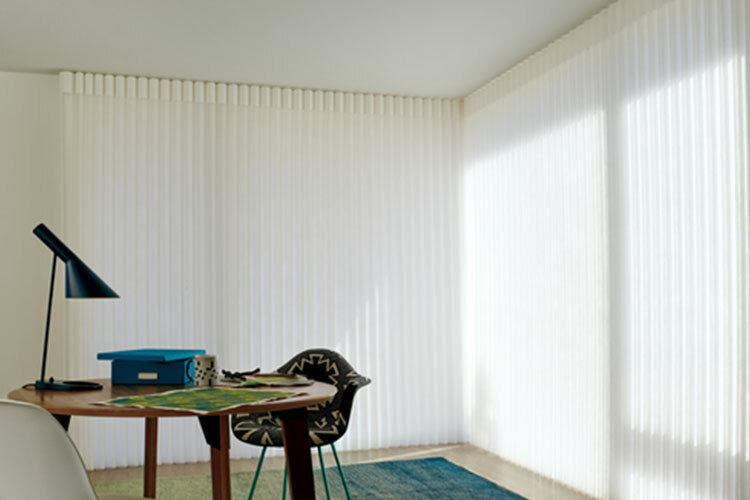 Have you ever had vertical blinds or shades? You’ll notice instantly, they don’t make vertical blinds the way they used to. 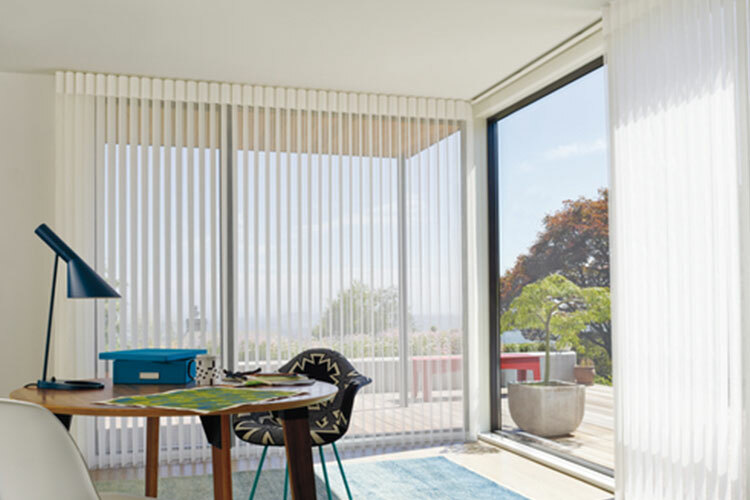 Hunter Douglas Luminette® Privacy Sheers are made in America with beautiful fabrics and drapery hardware to coordinate your entire top treatment. Visit the TWG Fabrics & Home Decorating showroom to see all the design options available for Luminette®Privacy Sheers. Small windows also look great with Luminette® Privacy Sheers and drapery.